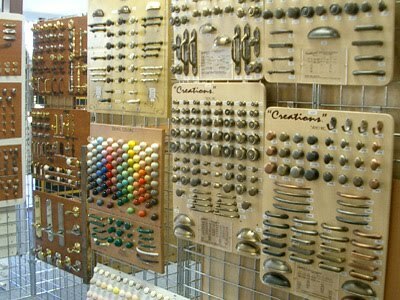 Cabinet hardware is like a woman’s jewelry. It finishes off the look or it can even take the whole look in a completely different direction. It can dress it up or down quickly. You can make a simple ensemble look glamorous fast with the right accessories. You don’t need granite, custom cabinetry and top of the line appliances to make your kitchen pop. 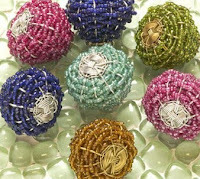 Add some zip with some fun knobs that you can easily switch for the seasons or just when the mood strikes you. As my family looks at houses for sale it always surprises me to find a very plain, nondescript knob on the cabinetry when the rest of the house has such pizzazz. 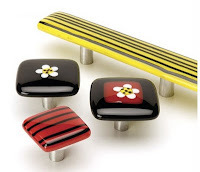 Houses with bold colors almost seem to cry out for the more artistic types of knobs. 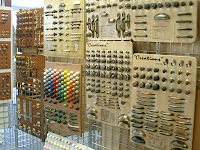 The country décor makes me almost expect a pretty little basket weave knob or the painted ceramic ones. The houses full of the Scandinavian, minimalist types of furniture always conjure up the vision of stainless steel bars that make me think I should hang a dish towel on it. If your couch is embellished with all seashell pillows I can almost bet that you’ll have seashell knobs on either your cabinetry or one of your pieces of furniture. So why not finish your house’s ensemble too. If you need to change things up a bit; easy changes like paint colors and cabinet hardware can breathe fresh life into a stale room.